This one is a bit of a mess, having been scavenged for parts over the years. 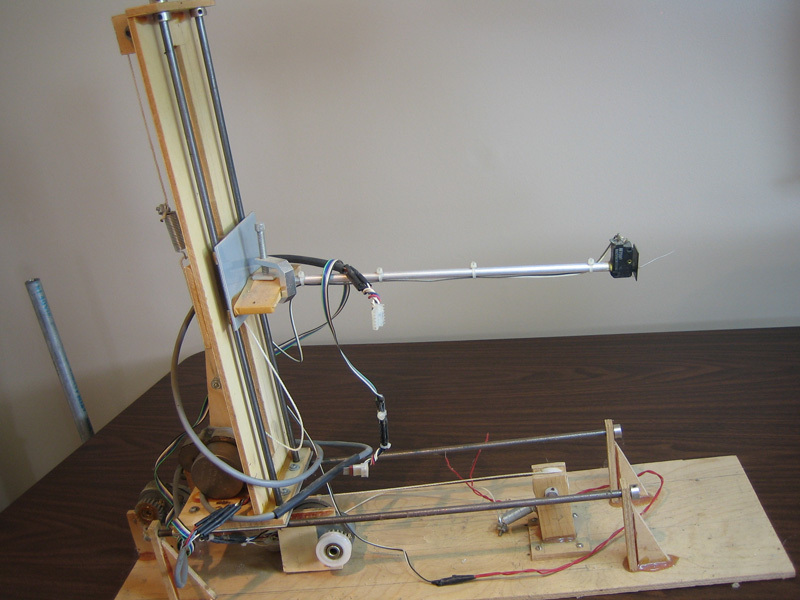 Originally I built this as a successor to my first 3D digitizing device back in 1990. Unlike the manual method of digitizing that the first model used this was intended to be fully automatic–place an object in range and the digitizer would repeated search out the object until it had enough data to display the wireframe. It used several stepper motors to position various contact pointers until it found the surface of the object and found data. It worked–sometimes. It was only functional on shapes that could be “lathed” or were symmetric around a center axis. I built it as more of an excuse to learn to use stepper motors than anything else and I succeeded with that goal.